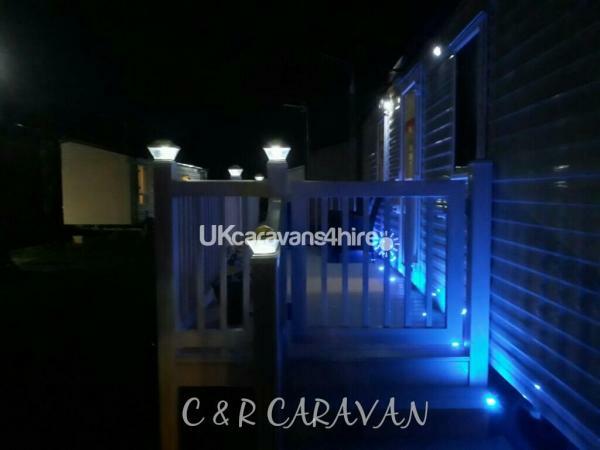 Caravan situated only 150 mtrs from all ammenities on site, including shop, launderette, chippy, indoor swimming pool, children's playground, restaurant, sports bar, club which has entertainment for everyone, including kids soft play area. The caravan has double glazing, central heating , all mod cons, Iron & Ironing board. 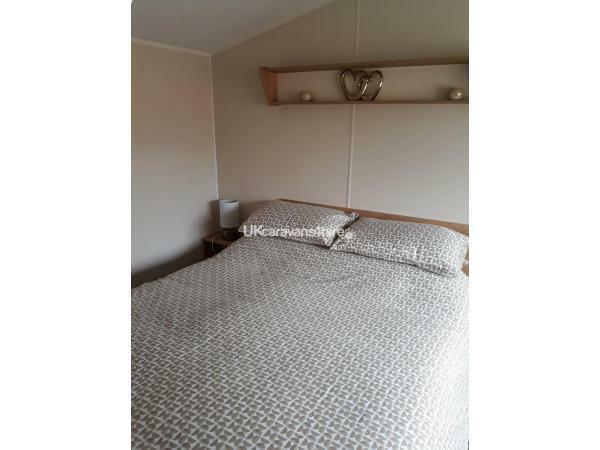 Two bedrooms 1 double with a kingsize bed & plenty of room for a travel cot which can be supplied on request. 2nd bedroom has 2 single beds. It has gated decking with Ratan furniture. Beds made up on arrival . 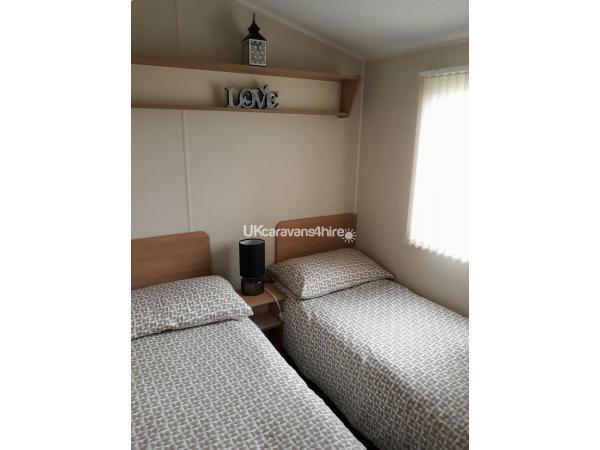 We ask for a £50 deposit to secure the booking, this deposit also acts as a damage waiver which will be returned within 7 days of departure , if caravan is clean and undamaged. balance to be paid 6 weeks before arrival, if you cancel within 6 weeks of arrival date your deposit will not be refunded. The price does not include passes which can be purchased on arrival & registering at reception. 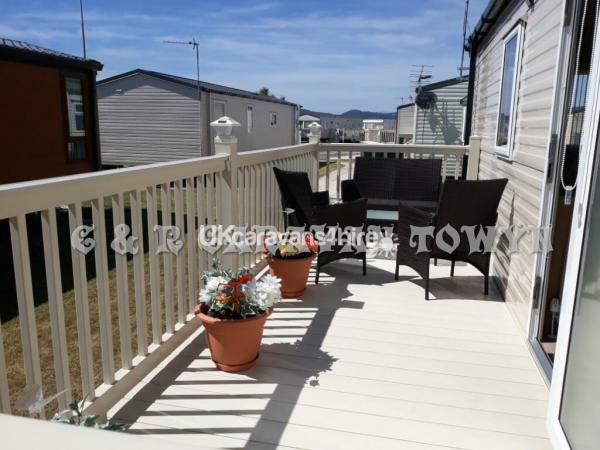 I can't believe how late I am in writing this review... however I just wanted to write one and say if you are scrolling through looking at caravans then do rent this one! Carol and Ronnie eere so prompt in responding to us, the caravan was absolutely immaculate and had extra little bits like toilet roll and a bin liner so we didn't have to run straight to the shops. Our little one was very restless in the bed and we were tearing our hair out but they had a travel cot under the beds which helped massively! All in all it was such a lovely break and we will 100% be returning. It was truely lovely thank you so so much. If I could have given more than 10 we would have , every thing you would need is there like brand new , very clean , the owners were lovely , the site had every thing you would need . The price ???? 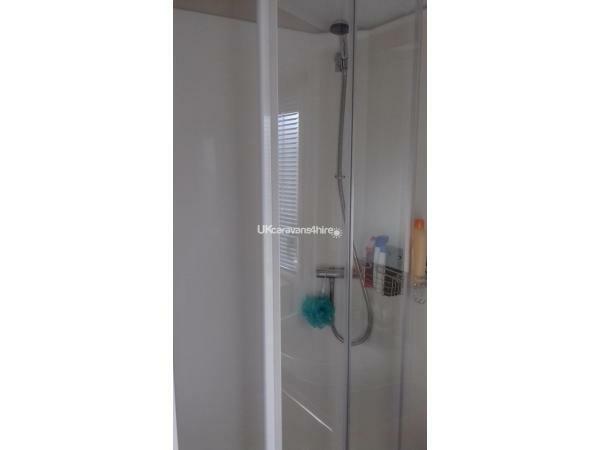 I think we were undercharged for the standard . Just got back from a lovely 4 night break. Everything is literally 5 minutes away shops, beach, club, fair. I would 100% stay in this caravan again. Owners are lovely, caravan is beautiful. Gorgeous little patio area. Couldn't ask for more.